It's great to be back in London after all this time, and I'm really looking forward to taking part in this fantastic event on the 13th december, organised by the lovely people at Urban Times. 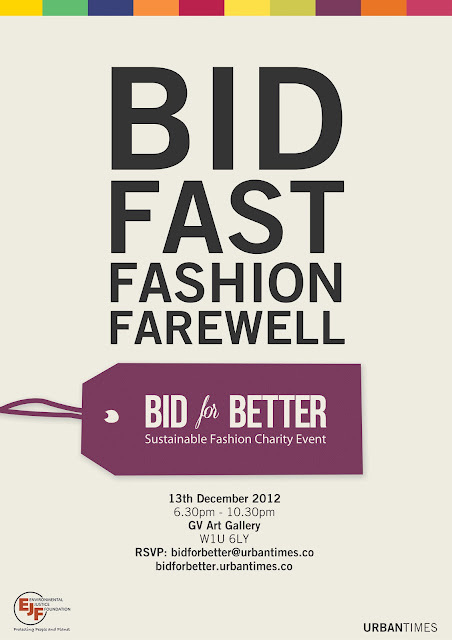 It's a silent auction where you can bag a bargain from over 50 sustainable fashion companies. I've been invited along as a guest designer to demonstrate some of the processes I use in my work. It's all free, so RSVP for a place now!